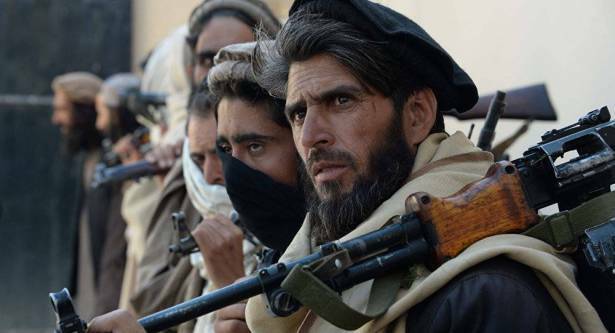 Unfounded speculations by US politicians about alleged supplies of arms to the Taliban by Russia are aimed at concealing the truth of America's obvious defeat in Afghanistan, which Washington is still struggling to postpone, Afghan political observer Vahid Mojda told Sputnik. US Secretary of State Rex Tillerson's claim that Russia is arming the Taliban bears no relation to reality, Vahid Mojda, a political observer and former Afghan Foreign Ministry official under the Taliban government, told Sputnik. "I talked with Talibs about it and they told me that neither Russia nor any other countries provided any assistance to them," Mojda said in an interview with Sputnik Afghanistan. "They [said] they could get Kalashnikov assault rifles in Afghanistan at a very cheap price. They can buy [the rifles] directly from the Afghan Army. The Taliban usually draws on corrupt [Afghan] politicians to buy weapons from the Afghan military for bribes." On Tuesday, during a press briefing, Tillerson claimed that Russia was providing weapons to the Taliban. "With respect to the comment about Russia, to the extent, Russia is supplying arms to the Taliban, that is a violation, obviously, of international norms and it's a violation of UN Security Council norms," Tillerson said, "We certainly would object to that and call Russia's attention to that. If anyone is going to supply arms, it needs to be through the Afghan government." However, the US secretary of state didn't refer to any credible evidence to back his claim. In response to Tillerson's unfounded allegations Russian Foreign Ministry spokeswoman Maria Zakharova highlighted Thursday that Moscow has provided no support to the Taliban movement in Afghanistan. She pointed out that Moscow has repeatedly rejected similar accusations and has demanded Washington provide evidence that it supports the militant movement. "There is none. Such statements do not contribute to the establishment of effective cooperation between our countries on Afghanistan," the spokeswoman stressed. "If Talibs received weapons from other countries it wouldn't be Kalashnikov rifles: what the Taliban needs are anti-aircraft guns," Mojda underscored in his interview with Sputnik. "If the Taliban obtains these [anti-aircraft] weapons, the US will find itself in a heap of trouble in Afghanistan." Why does Washington accuse Russia of arming the Taliban? Mojda assumed that the US is apparently trying to drive a wedge between various groups within the Taliban. "They are doing this to sow discord among the Taliban by convincing militants that some Talibs are connected to Russia. This is a propaganda campaign against the Taliban," he noted. On the other hand, according to the political observer, Washington is making attempts to divert attention away from the obvious fact that the US is losing its war in Afghanistan. "By pointing the finger of blame to Russia, Pakistan and other countries, they [the US] want to conceal their defeat in Afghanistan," Mojda stressed. "The goal of Washington's strategy is not to win in Afghanistan, but to postpone the US' defeat."